Restaurants : Alexis Garden, Olympic Room. Standard room amenities : Dry cleaning, coffee maker, Cable TV, electronic door locks, AC, hair dryer, ppv movies, iron, radio, telephone, voice mail. Hotel amenities : Maid service, laundry, safety deposit box, wake-up call. Equipped with amenities to match most any hotel in Las Vegas, the high-tech Alexis Park Resort offers 500 newly-renovated all-suite rooms, three elegant pools and fine dining. 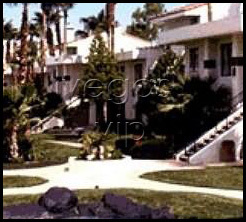 Located only a half-mile from the Strip and McCarran Airport, the resort is extremely accessible. In addition, the intimate Pegasus restaurant and the sociable Bar & Grill are available for hungry guests. Along with two different types of suites, the Parlor Suites and unique Crown Suites, there is 40,000 square feet of convention space on property and 25 adaptable meeting rooms. 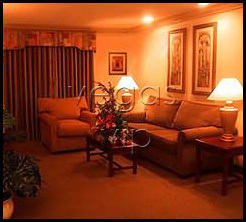 The Alexis Park Resort easily caters to both vacationers and business travelers.